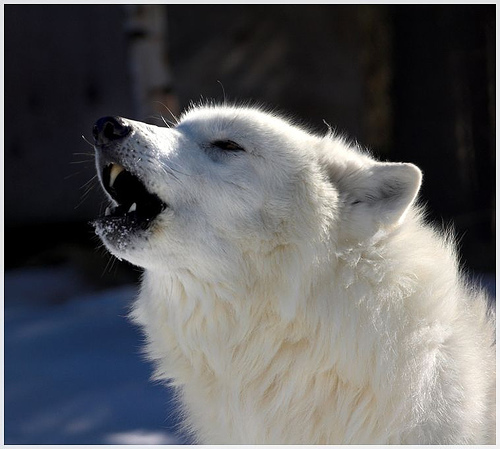 Miki [Immiki] is the young, spirited Alpha Female of the White Shadow Wolf Pack. Though born the runt of her litter, she pushed against the odds and came out on top due to her uncanny ability to understand others and her possession of wisdom far beyond her years. While her mother's coat is pure white, Miki's coat is a little thicker with a tan undercoat. She has green eyes that tend to change depending upon weather or mood. Miki cares deeply for her pack and will gladly lay down her life for any one of them. Daughter of Chey and Kenji (whom she speaks with sparringly), she holds a particularly unique bond with her mother despite holding more power in their pack. The same holds true to her littermate, Koga, her slightly older and much larger brother. 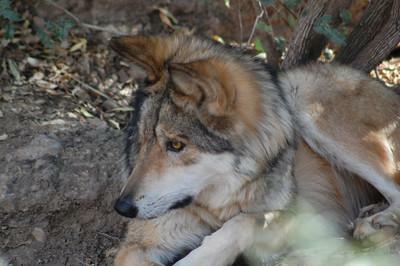 The two are very close and will spend time aside from the other pack members frequently. Miki considers the packs Betas, Sam and Chibi, to be her best friends, often showing her silly side when they are around. Miki adopted a young red wolf pup named Kala. She found Kala after the pup had been seperated from her pack. Kala reminded Miki much of herself and caused the young Alpha to grow quite fond of her, which led to the pups adoption. A fairly extroverted wolf, Chibi [Elianacc/AiZero] is usually the first to approach someone new to her. At first however, she tends to be a bit rude, having no concept of personal boundaries, and will often violate someones personal space without a second thought. However she does know how to be quiet, and usually only displays this extroverted quality in small groups of people, while in larger groups she tends to herself more, or to a smaller group of people she is more familiar with. She is always accepting of others, and her way of dealing with anger usually involves moving away from the source of her anger. Always a nice wolf at heart, she is quite trusting, though makes it quite obvious who her enemies are. 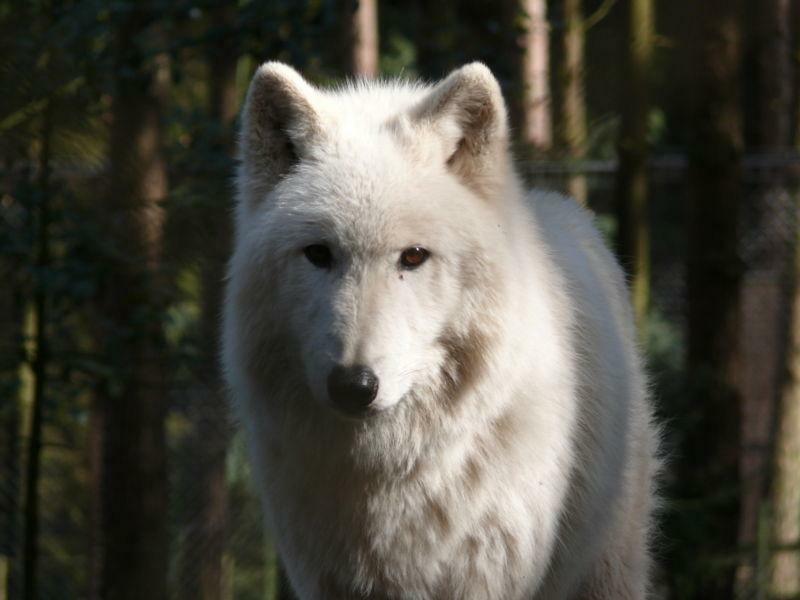 Chibi is a plain white wolf, with a single path of grey on her left ear. She rather enjoys open spaces, sweet things, devouring small live prey, but has much dislike for water and large birds. Chibi has a small habit of nibbling on the ear of those near her when bored or simply trying to get to know a person better. Her known family consits of her two older sisters, Endellion and Amaiyuukan. Miki and Chibi are actually really close and have lots of history together. There are seldomly any dulll moments when they get together. She is the mate of the Beta Male, Sam. He [One/Wind] was said to have been born from the a squall so many years ago so many know of him as Wind. 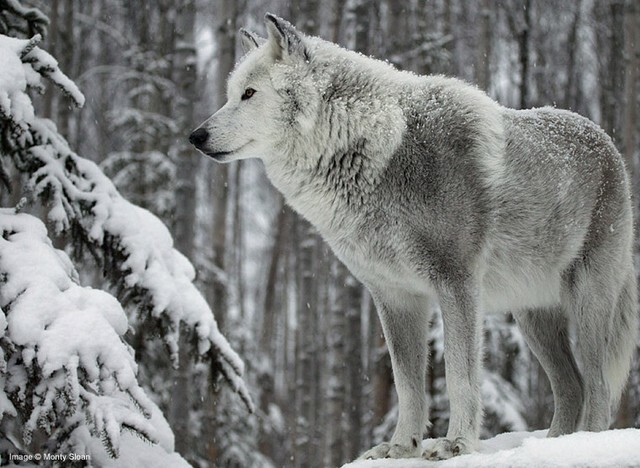 He walked into the pack from the distance following the scent of an old friend. 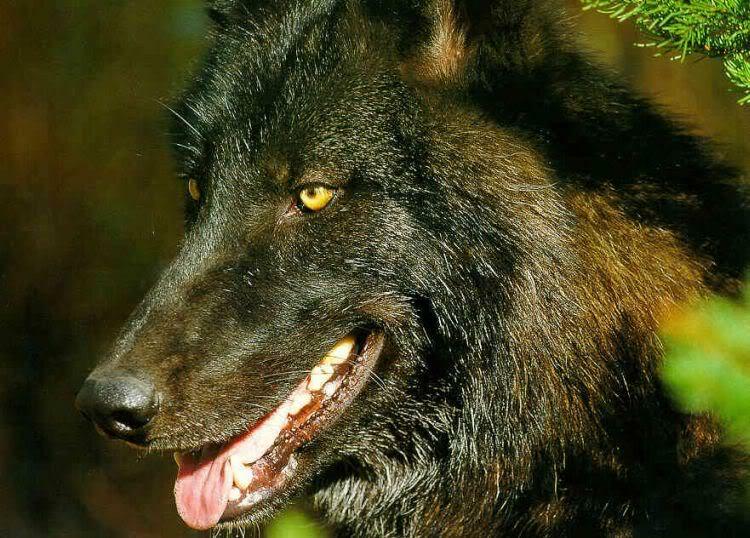 Easy going and friendly, he became friends with Miki when he was still part of the Artemis Fang pack. Being the Alpha he led the pack with tenacity, and gave rise to many strong Betas, who he lovingly referred to as his Claws. Eventually he felt that it was time for him to move on, feeling that the pack would be in strong paws. He made his way to the the cave of the White Shadow, knowing his friend from many years ago was just starting her unit. He felt he could pass on much knowledge to those younger than him. He brought with him his mate, Chibi. 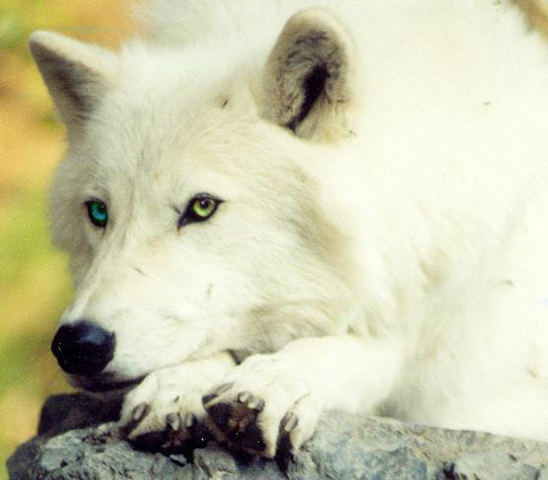 Chey [Cheywolf] is the tender, caring mother of Miki and Koga, who are both in the White Shadow pack, and many others who have gone their seperate ways. She is mate to Kenji, Mikis father whom Miki no longer has dealings with. Many describe her as protective, slightly bossy, and nurturing. She will help and care for most anyone. She is generally great to be around until she feels that someone is a threat to the family. Should this occur, everyone should take shelter immediately. She sports a fluffy, pure white coat . Though her eyes are originally a golden color, one rarely sees them in this state because she is always happy, which causes them to turn blue. She is a wonderful grandmother to Miki's adopted daughter, Kala. Koga [Kogawolfclan] is a wolf who has been in many fights, and has many scars all over his body and face to prove it. He is one of the alpha females littermates, born earlier than she was and much larger. He and Miki have always had a close relationship and would not hesitate to kill for each other. Miki, Koga, and their Chey make an awesome trio of leaders and pride themselves in having a loving pack. 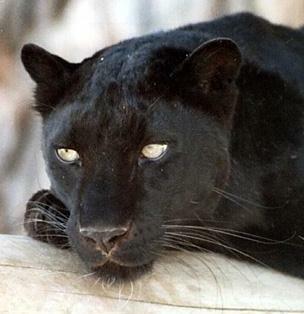 He has a midnight colored black fur, with battle scars, making him look a black and red, his eyes have been dyed red due to all the blood from all his fights, he has a cut scar on his left eye, although he can still see through it. He enjoys helping his comrades and the thrill of a good hunt. He would do anything for the pack, even sacrificing himself to protect them from a bigger predator. Koga's mate is Snow and the two are often seen showing loads of affection. 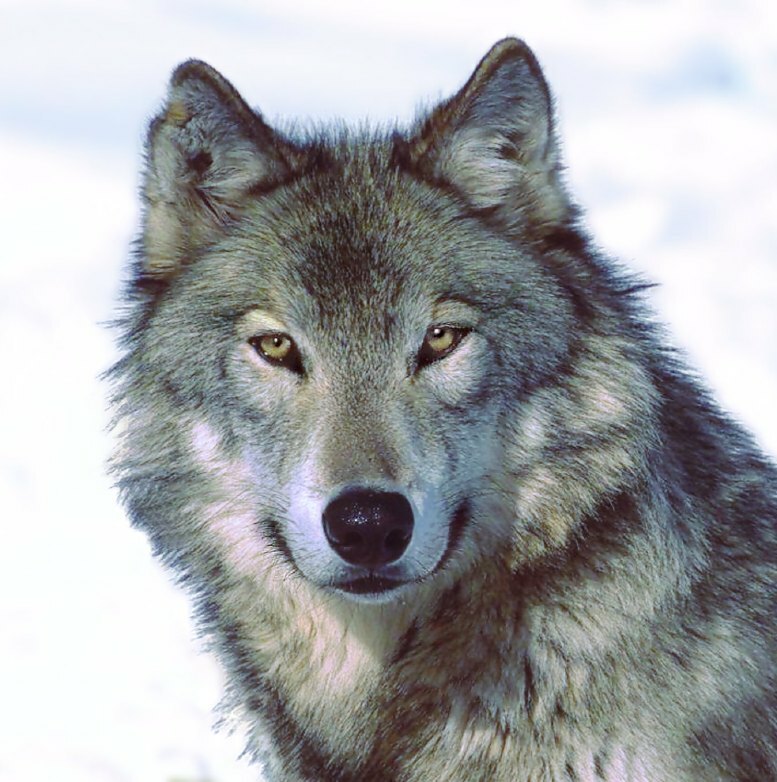 Timber [Thetimberwolf] was seperated fromhis family as a very young pup due to a wildfire. 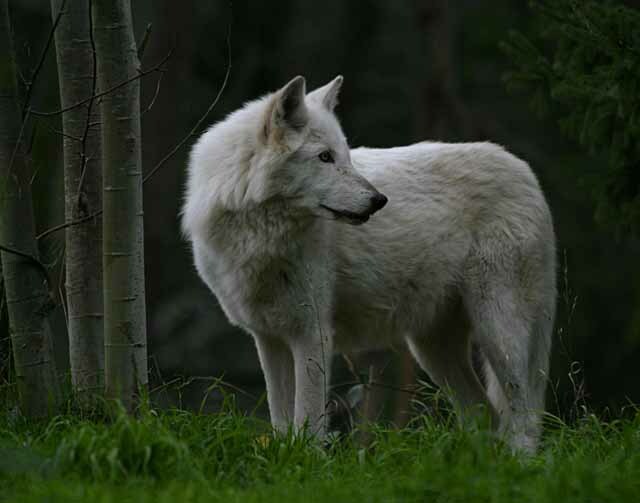 A wolf of another pack took him in and raised him as their own, but at the age of three her dispersed from that pack and wandered alone for a few years. 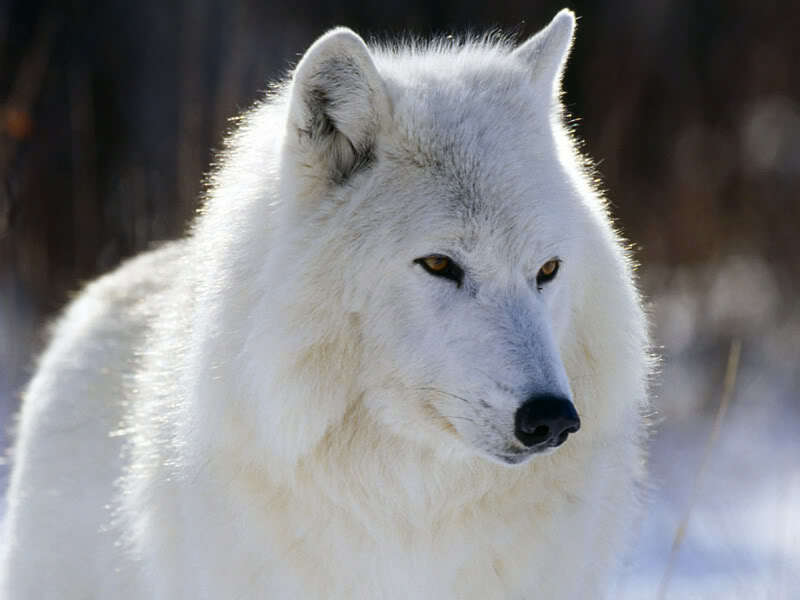 Recently, he was introduced to the White Shadow Wolf Pack, and the Alpha, Miki, was generous enough to accept his prescence. He hopes tha he will be able to stay with the pack for a long time. Timber is currently courting Nikka. Snow [xxsnowwolfxx] is careful not to get in any trouble or make mistakes. She's shy quiet kind but she knows how to speak her mind,she is also stubburn when it comes to something that she knows she can do. She cares about what happens to people she loves. She is talented in little ways but she will help anyway posible. Her ways might be werid but that what makes her who she is today. She will always have a way to fix things even if she can't think of it right away. She is also layed back and rather be in the shadows then the spotlight. She is neither a leader nor a follower she is usaully off on her own at times, she is most happy when people do little things for her although being taken care of is not her favorite thing in the world. Snow is typical to care about others than herself, she would get herself killed trying to protect the ones she's befriended and the ones she loves. She loves to make others smile and laugh she also enjoys singing, dancing, playing in the snow and tackling her brother Fang, who is no longer a member of the pack. Snow simply adores her brother almost to death although she doesn't like it when he treats her like she's a kid but she knows he only cares about her. She reminds herself every day to ' be herself no matter and always believe in herself'. She also is one to be sure she wants to go down that path before she takes it. In the end all she wants is to be in a loved one arms and fall asleep awaiting a new day to come and with that day a new path to take. 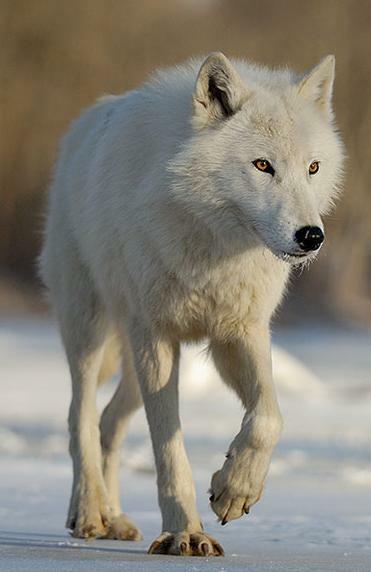 Snow's mate is Koga and the two are often seen showing loving affection. Cloud [Cl0udxz3r0] is a very docile wolf only getting angry when his friends are attacked so it's not recommended you do. 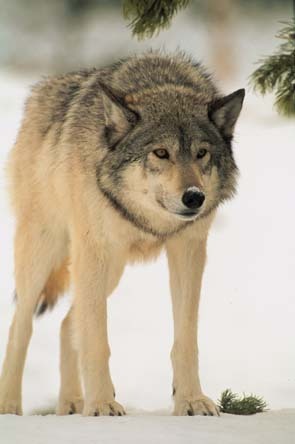 Kicked out of his old pack for defending his little sister from the alpha male, he defended his little sister to the bring of death on which he was kicked out instead of being killed. Now lonely and with no one to love he walks from clearing to clearing trying to find a home with no succese. Saddened by his past he tries desperately to forget about what happened and start a new life. Cheza [Animevixen] is a caring, loyal, playful, and sometimes childish wolf, but she will do everything and anything for her pack no matter what. She loves her friends and can give advice. Cheza also has great comedic timing which comes in handy when someone is upset or sad. She plays with her friends, helps out, reassures people, and loves to hang out with friends. She is a tan/brown and white wolf with a black braclet/ring on her right paw that she got from man years back when she was a pup. She has golden eyes which can make her look more aggressive when angered. 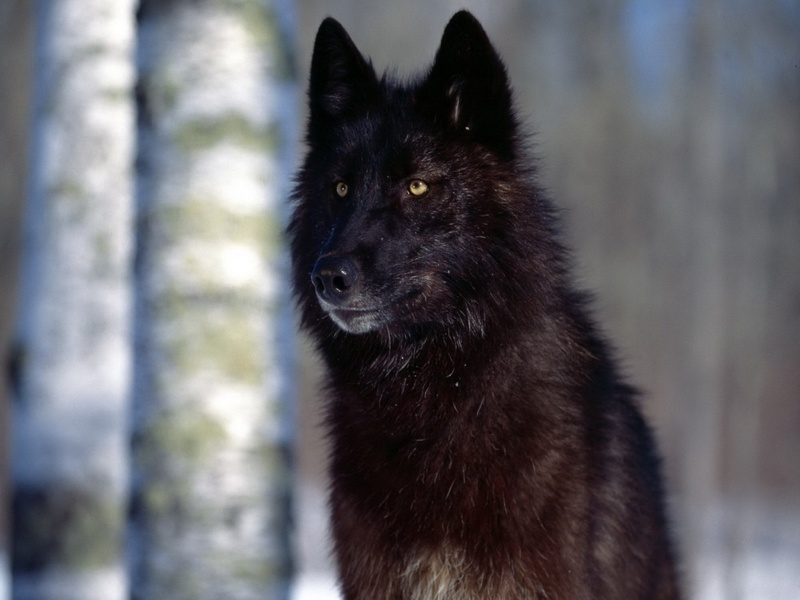 Her nose is black like any wolf and her body is lean yet strong. 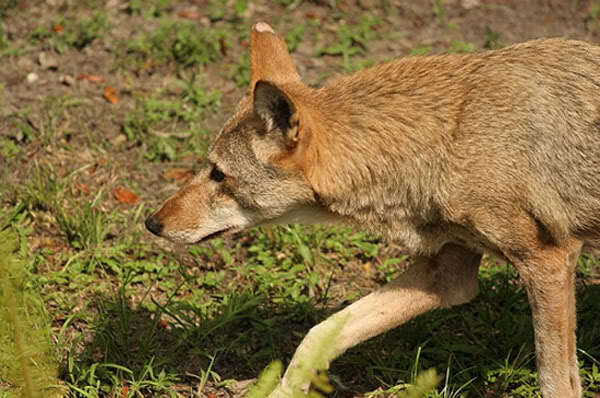 She and her littermate Mazin are very close and are often seen romping about like pups together. 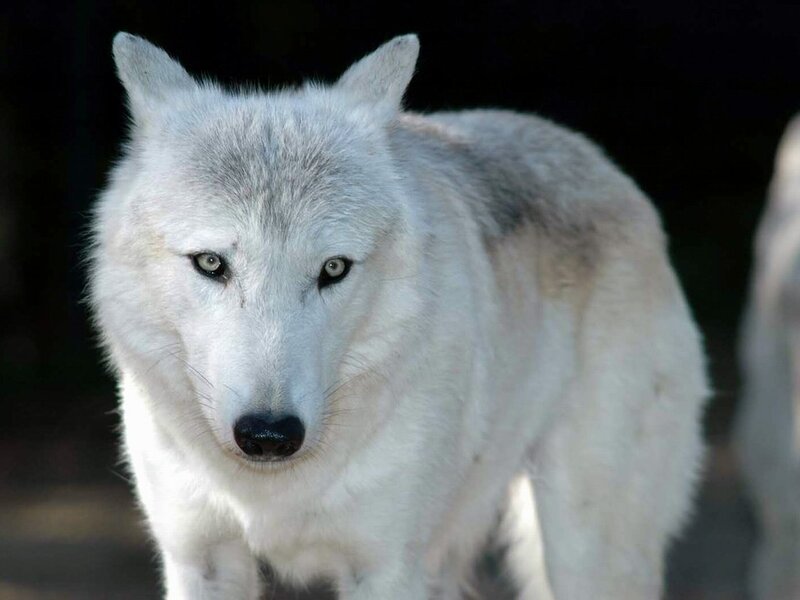 Vicki [Wolfgirlvicki] is teenaged white wolf . Gin [Wolfgin3] is four months old and her mother is Nikka, Mikis Grandmother, making the young Gin Miki's aunt. She is pretty rowdy and fun, but can be very serious if she has to be. Gin will fight to defend herself or her pack, despite being so young and small. While she doesn't know her biolgical father, she holds a particularly unique bond with Timber, the wolf her mother Nikka is courting. 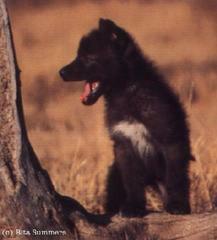 She is a jet black wolf pup resembling her mom and has light blue eyes because she is blind. Gin likes the snow alot but hates fighting. Her favorite meal is regurgitated food from the adult wolves. Gin's dream is too belong in a pack forever and die in the same pack. Kinta [Lunarwolfpup4] is a 7 and a half month old wolf pup with snow white fur and bright amber eyes. He likes to play a lot and is sometimes a little devilish. Kinta also enjoys warm places and relaxing, but doesn't care much for mean individuals or getting hurt. 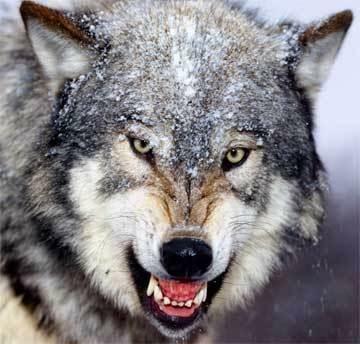 Human hunters killed his original pack and he only survived because he was told to run before hand. Miki is quite fond of him because of the maturity he displays despite his age. Ryo [Wolfpup121] is a playful curious and he thinks he can take down anything . he's a cute puppy when he wants to be. He's shy at first but once you get to know him he'll open up to u. He likes to play with his mom, Snow, and her mate, Koga, and a few others. He loves to run around and tackle everyone he can he also likes to hunt rabits and other small prey.One day he wants to be as big and strong as the others in the pack. 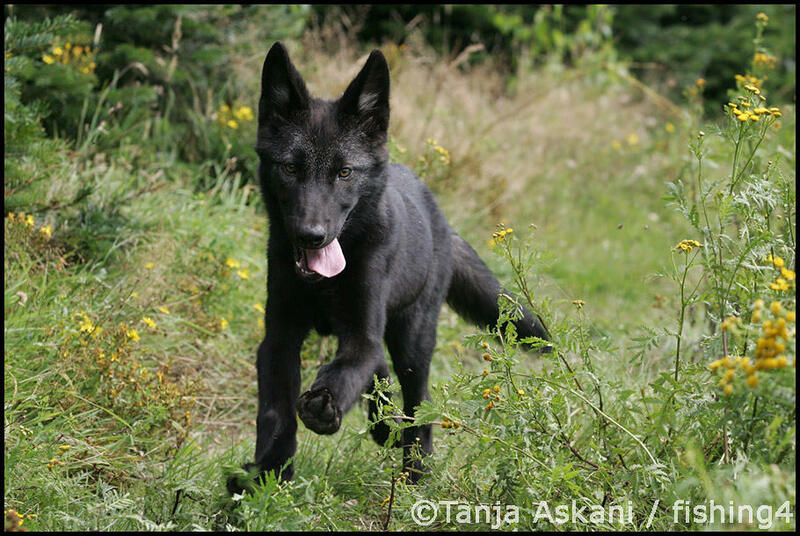 Rain [Smalltimberwolf] was abandoned by her parents when she was only 3 months old because she was to agressive with the other littermates and she would run off during pack hunting sessions. Rain was soon taken in by another pack. 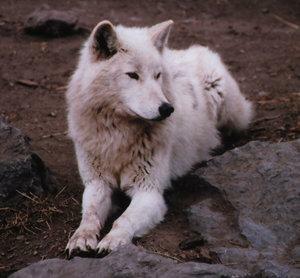 They also left her because she would not contribute to anything the pack did weather it be hunting,helping the omegas with the pups,or just being social during a pack howl. Rain was a lone wolf for about 6 months but then a female wolf, Miki , took Rain in under her wing and welcomed her to her pack. She is forever grateful of Miki and her pack family, White Shadow Wolf Pack. She can usualy be found by the water or cooling off under a tree. Rain is considered an aggresive wolf by most but by others, she is caring and peaceful. 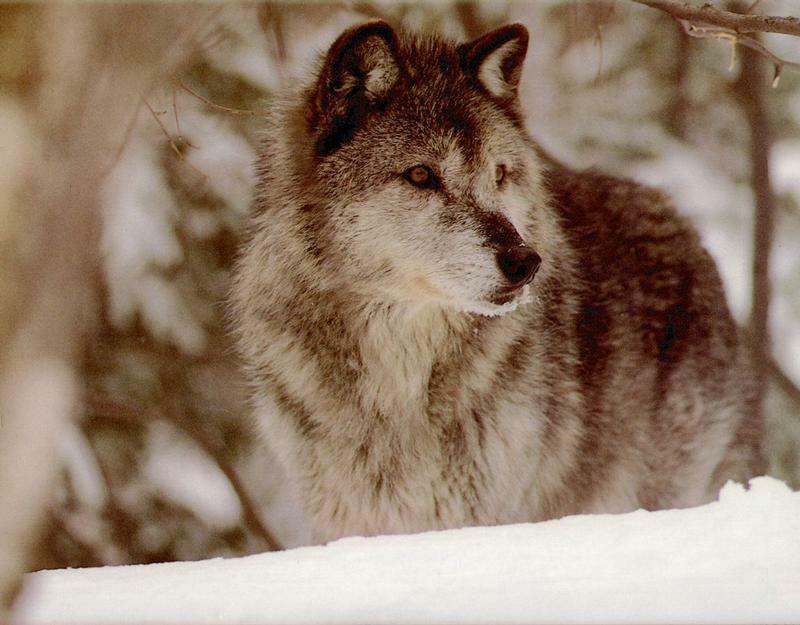 She is a realitivly small grey wolf with deep yellow golden eyes. Rain loves to show dominance even if it isnt nesesary. She loves to run through the woods and chase down smaller animals like squirrels,rabbits,birds,and even snakes. But most of all she likes running and being able to increase her speed. Rain will usualy be the fist to start races and fights. Nikka [Demonnikka] is around the age of 5 or 6. She is quite calm and mellow, only fighting when she has to. She will defend her family and pack at any cost though. She had known no family besides her father, Jester, and her son Kenji, Miki's father, until she happened to run into Miki by accident and recognized the young wolf's features as resembling those of her son. The two were happy to finally have met despite fate having disbanned their original pack before Miki was born and they get along quite nicely. Her favorite things to do are hunting, play fighting, and teaching young ones how to fend for themselves. Nikka a jet black wolf with gray eyes and her tail is pretty long. Sneeker [Thesneeker] prefers to keep his identity anonymous.